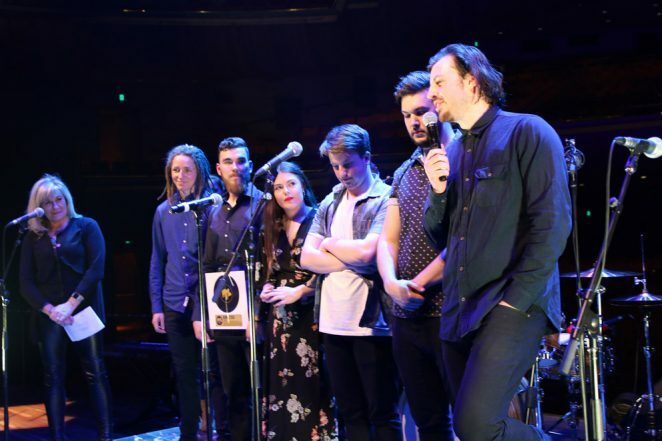 The 4th annual Melbourne Music Bank final took place last night at Melbourne’s Hamer Hall. 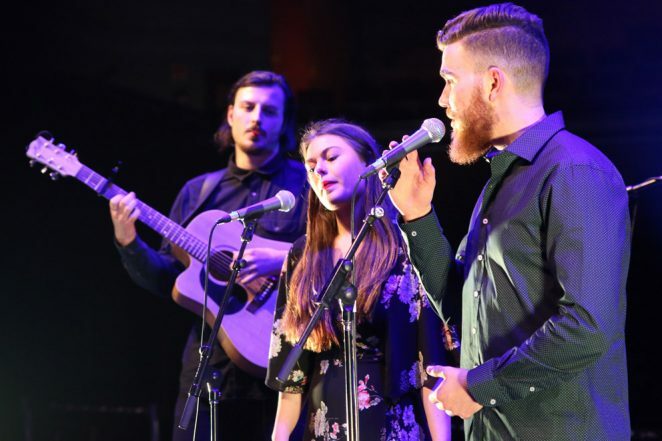 Created by the Bank of Melbourne, the Melbourne Music Bank offers Victorian musicians the opportunity to enter one of their songs into the competition with the chance to win a career-changing prize package valued at over sixty thousand dollars. However for a young band or artist starting out, most of these prizes have benefits well beyond their dollar value. As last night’s winners, Tempus Sun will soon discover, the industry assistance and guidance that they will receive from quality people in management, publicity, booking agencies and radio plugging will make the world of difference to their aspirations. In addition they get studio time, professional photo shoots, music videos, media training, album artwork, a slot on the Beyond The Valley lineup, the chance to have their music used in a TV commercial for Bank of Melbourne and an EP launch with east coast tour. For a little added inspiration for the 4 finalists, the whole finale was presented on the stage of Hamer Hall, where so many great artists have stood before. 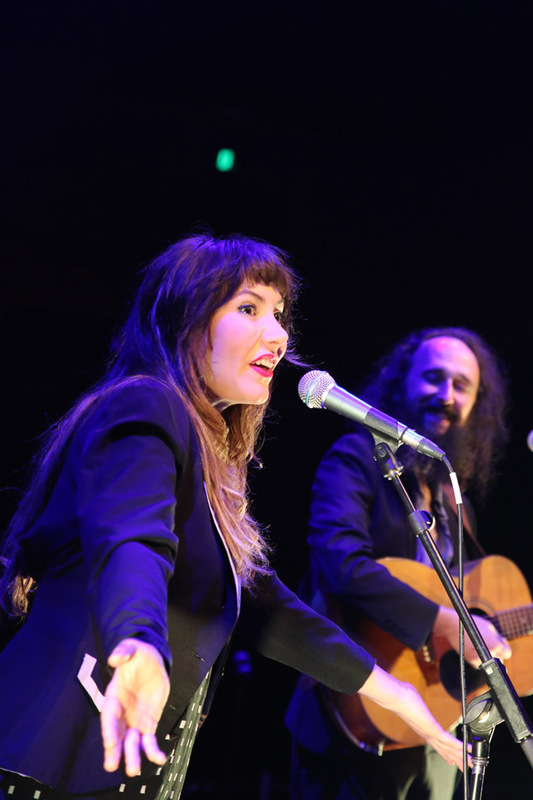 Melbourne Music Bank ambassador Ella Hooper kicked off the night with a couple of tunes and as we witnessed a couple of weeks ago at her New Magic Band show, she’s in top form. 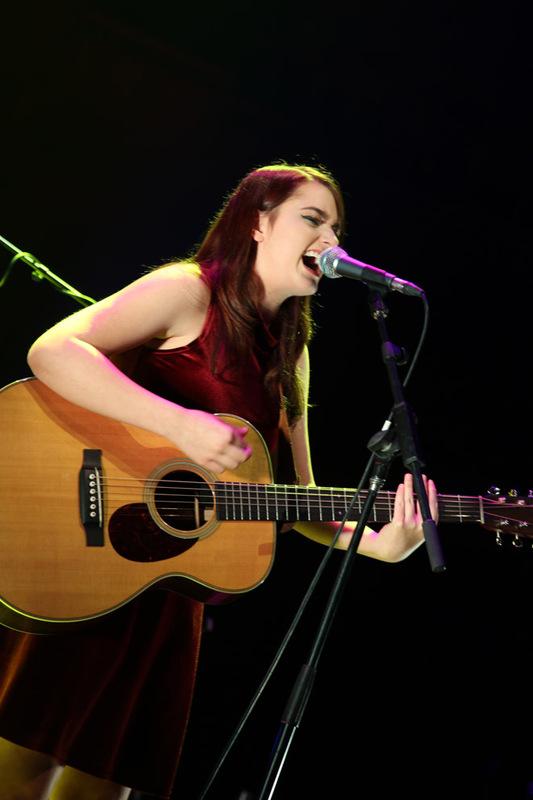 Last year’s competition winner Jade Alice followed and showed just how far she has developed as an artist and songwriter. Kudos too to the event organisers, who allow the presence of friends and family of the finalists, who are on hand to share in the celebration of the music that their progeny has been created. The first of the finalists Anna Oliphant Wright performed her track ‘Hooks’ and as the name suggests, was a catchy tune indeed. Next up, Caulfield-based four-piece band Birdhouse played their song Bitter, a polished piece of pop rock featuring impressive harmonies. Bloom, a vocalist who is not short on stage presence, held the audience in the palm of her hand with the beautiful ‘Bittersweet’. The night’s eventual winners Tempus Sun played an infectious tune called Owls, echoing the spirit of bands such as Mumford and Sons and Fleetwood Mac. While the construction and flow of their song was masterly, the delivery gave it extra bite with undeniable vocal power and assurance. 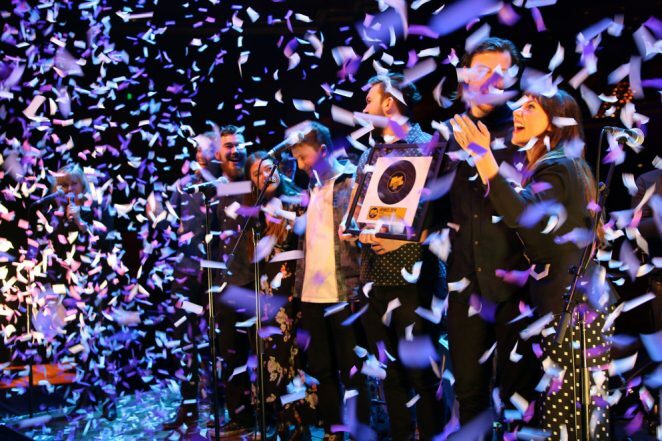 In a shower of confetti Tempus Sun was crowned this year’s winner of the Melbourne Music Bank. In their acceptance speech, the band was both humble and grateful, plus generous in their praise of their fellow finalists. 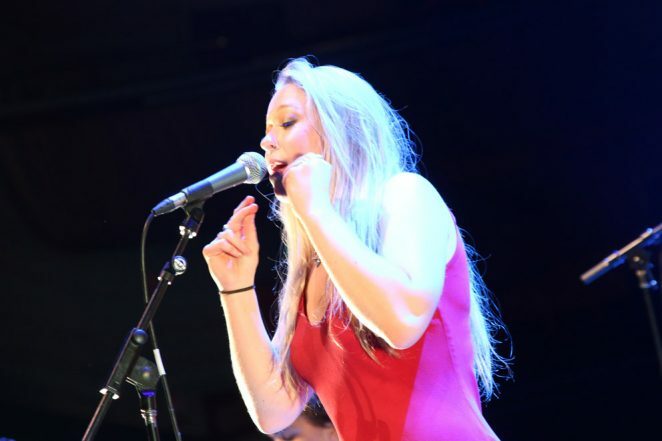 The quality of finalists this year was yet another notch higher, as more Victorian musicians discover the benefits of entering this great competition and continue to demonstrate what brilliant talent resides in this country. It was with a great deal of pleasure that we received news from APRA AMCOS (music licensing and royalty distribution service) last Friday of a record annual revenue figure for 2015-2016 period of $333m; 14 per cent growth in payments to songwriters, composers and publishers and a huge increase of more than $20m in digital revenue. While other sectors of the music industry have experienced marked fluctuations, APRA AMCOS has enjoyed a reliable trajectory of income growth in recent years. Over the past three years, export revenue has increased by 75 per cent to more than $38.3m per annum, highlighting the enormous growth in the number and success of Australasians on the world stage. 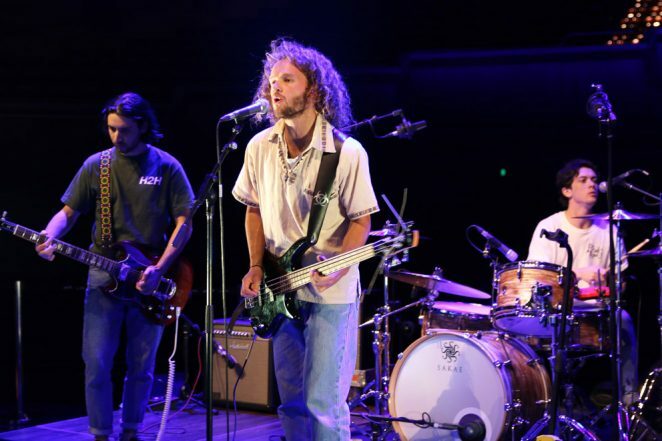 A wonderful example of a music export success is Melbourne folk duo the Pierce Brothers, who are about to embark on a huge tour with Ben Harper. With the help of their management and the assistance of the vital export music organisation Sounds Australia, the Pierce Brothers have been able to find great success in the UK, Europe, India, and North American markets. Just as radio and records revolutionised the music industry at the time of APRA’s foundation 90 years ago, streaming is now having a similar effect as subscription services gain traction with Australasian consumers. Royalty collections from streaming services were up 140 per cent year on year, to $27.4m. Songwriters remained prolific creators and performers in the financial year 2015-2016. 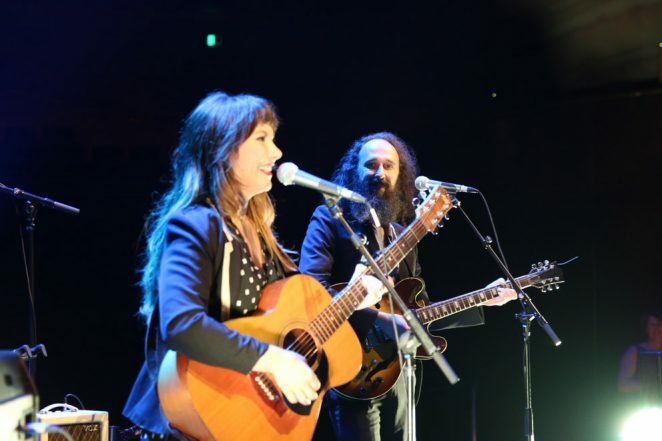 The number of works (songs, compositions) generating an income reached more than a million for the first time, resulting in payments to over 248,000 songwriters, composers and publishers equalling more than $294.6m (across APRA and AMCOS). Brett Cottle said, “At a time when copyright is working in practice as it should, and just when the culturally-rich and economically vital business of music is getting back on its feet, it’s difficult to fathom why measures such as those relating to Safe Harbour expansion or so-called ‘fair use’ should be contemplated by government”. You don’t need us to tell you how hard it is to make a buck from music these days. While physical, digital music sales and streaming are up in general, it’s still difficult for an indie artist to make a living from recorded music. Selling merch is great if you have an extensive tour happening or you’re gigging a lot but that’s not always the case either. Syncing your music with a TV show, movie or game on the other hand, can be quite lucrative but who knows how to do that? Well the folks at Brisbane-based company The Sync Report have a very good idea about how you can sync your music to that media and they have created a pain-free way for you to get involved. Unlike pay-to-pitch services, tip sheets or music libraries, The Sync Report puts the ball firmly in the music manager and artists court, whereby they are responsible for securing their own sync deals. “Volume is up and budgets are down which has opened the door for under-the-radar acts to go direct with music supervisors – Our aim is to guide our subscribers through the entire process, not just give them a directory of contacts but rather give them the information they need to skill up, stand out and get their songs licensed” explains Co-Founder Daniela D’Onofrio. A defining point of difference that sets The Sync Report apart is a TV calendar that allows subscribers to see upcoming TV shows, the attached music supervisors and the best times to be pitching their music. The platform also provides Top 50 lists that allow subscribers to pinpoint contacts working on the worlds biggest TV shows, brands, films, trailers, & video games in the USA, UK, Canadian and Australian markets. In launching their service, music company The Sync Report has hit the DIY market with a series of colourful videos that highlight the importance of sync licensing in the music industry. Aptly named ‘The Slapman Series’ the animated short films introduce Slapman and his mohawked dog Mr Rex who promptly slap people who tell them that they are too lazy to build a fan base, get media attention and earn an income with their music. Designed for music managers and savvy artists The Sync Report teaches people how to build lasting relationships with music supervisors/buyers, as well as providing a complete up-to-date report on who’s looking after the music licensing for hundreds of current TV shows, films, brands, trailer houses and video games. 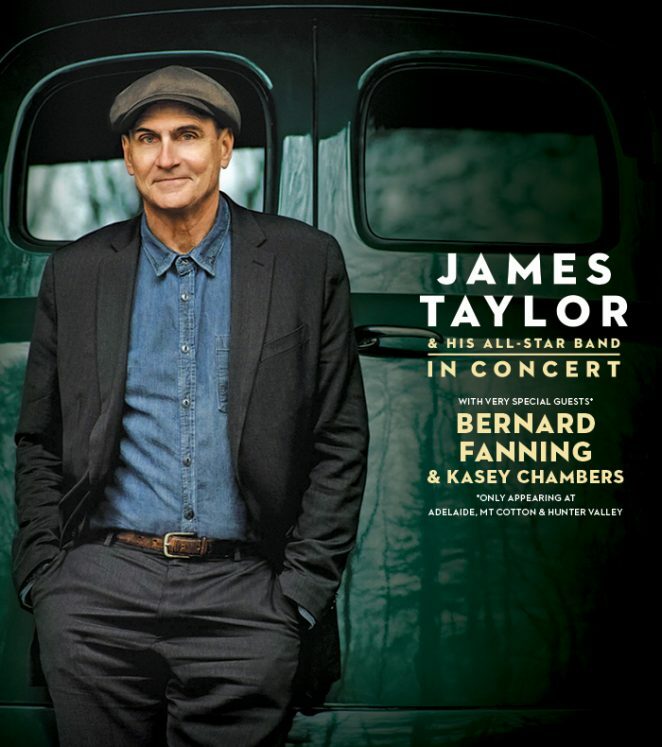 Iconic singer-songwriter JAMES TAYLOR today announced he will return to Australia for the first time in seven years for a series of indoor and open-air performances. James has sold more than 100 million albums, earned 40 gold, platinum and multi-platinum awards and five Grammy Awards, with his Greatest Hits album earning him the prestigious Diamond Award given for sales in excess of 10 million units in the USA. Next February James Taylor and his All Star Band return to perform two indoor arena shows, heading to Melbourne’s Rod Laver Arena and Sydney’s ICC Sydney Theatre. Additionally, James will play open-air shows at Adelaide’s Botanic Park, Hope Estate Winery in the Hunter Valley and Leeuwin Estate Winery in Margaret River. He will also play at A Day On The Green at Sirromet Wines, Mt Cotton, QLD. Joining James Taylor as very special guest on the Adelaide, Hunter Valley and Mt Cotton shows is singer songwriter, Bernard Fanning. Bernard has accumulated one of the most celebrated and distinct songbooks on the Australian rock spectrum; charting a course from creation to an interactive live experience like no other. With his solo career now spanning ten-plus years, Fanning has firmly cemented his position as one of Australia’s finest songwriters and lyricists. From the country folk-tinged charm of his multi-platinum debut solo album Tea and Sympathy (#1 ARIA debut), to the rock grooves and horn breaks of its follow up, Departures (#1 ARIA debut). Now Bernard has delivered the delicate acoustic guitar track ‘Reckless’ which is the second official single from his ARIA nominated third solo release, Civil Dusk, out now. Also appearing at the Adelaide, Hunter Valley and Mt Cotton shows is country singer songwriter Kasey Chambers, whose new EP Ain’t No Little Girl has just been released ahead of the January release of her tenth album Dragonfly. 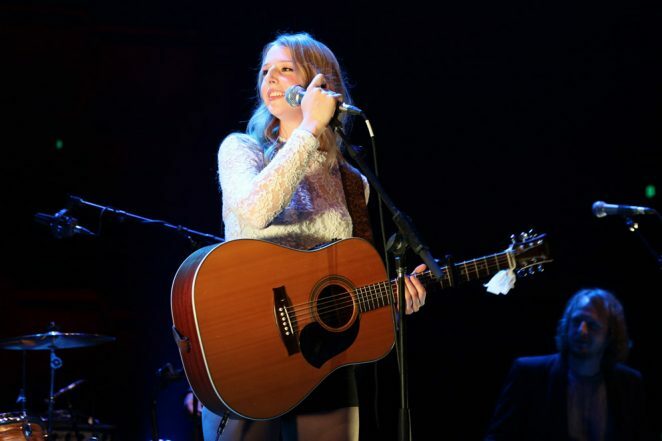 Chambers’ story-telling is as integral in her performances as it is in her albums, and has led her to win eleven ARIA Awards, 22 Golden Guitar Awards, two Americana Music Awards nominations and ten APRA Awards. Telstra Thanks is bringing an exciting 48-hour pre-sale just for Telstra customers from 9am Tuesday, October 25 until 9am Thursday October 27. For more information on how to purchase, visit: telstra.com/music. Don’t miss the wonderful James Taylor and his All-Star band next February! Twilight at Taronga presented by ANZ and Melbourne Zoo Twilights are thrilled to today announce their summer 2017 music program. 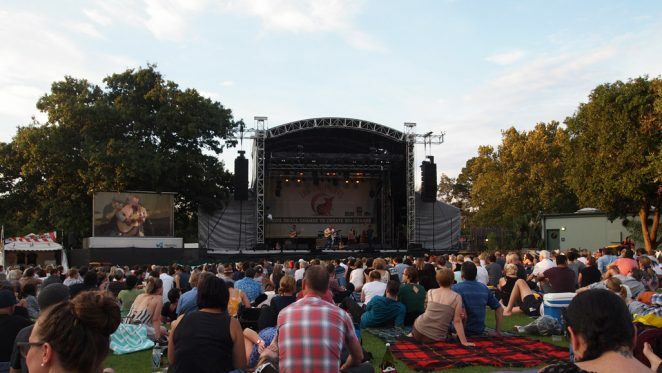 A calendar staple and the ultimate destination for music lovers each year, both concert series will run from Friday 27 January to Saturday 11 March, set amongst the unique environments of Melbourne Zoo and Taronga Zoo, in two of the country’s premier open-air events. 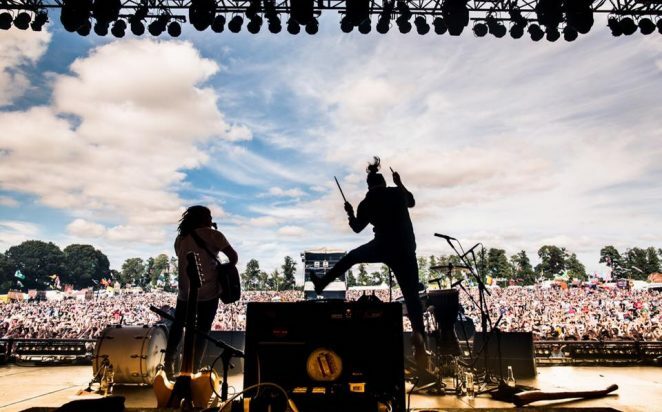 This summer will see Melbourne Zoo Twilights and Twilight at Taronga presented by ANZ open their series with both fearless Australian frontman Peter Garrett & The Alter Egos and Kev Carmody, and the original lineup of Jo Jo Zep & The Falcons and The Sports in a rare performance. triple j Hottest 100 winners The Rubens will make their Zoo debut, as will Brisbane indie powerhouses Ball Park Music and The Jungle Giants in a double headline performance. Quintessential Australian bands Killing Heidi and george will perform in a series of memorable reunion shows, and The Living End will be accompanied by a string quartet for a special ‘Twangin’ at Twilight’ stripped back show. Pennsylvania’s Kurt Vile will be bringing his unique brand of hazy-rock to the Zoos for the first time, and family favourites Björn Again will return after their sold out shows last year. 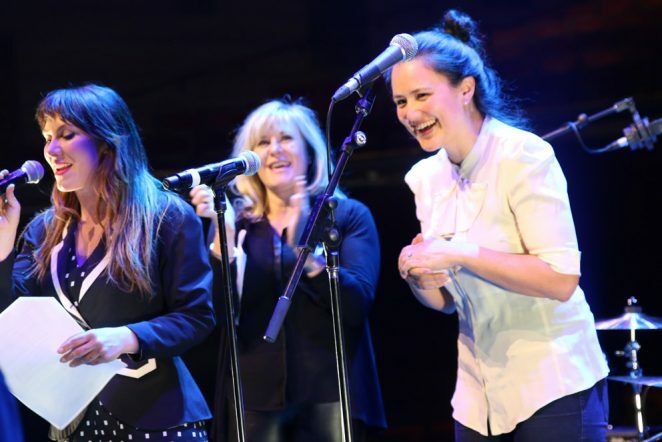 The closing week of the series showcases some of Canada’s most talented musicians, with performances from international indie-pop duo Tegan and Sara and singer-songwriter Martha Wainwright. Performing at Twilight at Taronga presented by ANZ only, Jet will be making their grand return to the live stage, and beloved country songstress Kasey Chambers will appear in February supported by Thelma Plum. Obama-endorsed jazz lord James Morrison Big Band returns to Twilight after a sell-out show in 2016 and legendary Scottish alt-rockers Teenage Fanclub are playing the closing weekend of the 2017 season, in their first Sydney show since 2005. Taking to the stage at Melbourne Zoo Twilights are dream-pop quartet Warpaint who return to Australian shores to perform for the first time since 2014. Also joining the Melbourne Zoo Twilights lineup is revered Something For Kate frontman Paul Dempsey following the release of his third solo album, celebrated Australian rockers Hoodoo Gurus and legendary British ska band The Specials in what is sure to be an unmissable show to close out the 2017 season. Twilight at Taronga presented by ANZ offers the unparalleled thrill of an open-air show on the lawns of Taronga Zoo’s intimate, fully-licensed natural amphitheatre. Set against the stunning backdrop of Sydney Harbour, audiences are invited to enjoy a gourmet antipasto hamper and refreshing drinks as the sun sets, immersing themselves in the magnificence of Sydney in the summer. All tickets to Twilight at Taronga presented by ANZ include free same-day Zoo entry, plus free return ferry travel from Circular Quay from 5:15pm; bus transfers from Taronga wharf to the main Zoo entrance; and post-show buses to Spit Junction and Mosman. Melbourne Zoo Twilights is yet another reason why the City has been crowned Australia’s live music capital. It’s the perfect place to enjoy the warm summer evenings in the heart of the City’s inner-north. There is something wonderful about Melbourne Zoo, in that it is literally filled with wonder. Stroll through the gardens and visit the animals before settling down with your mates on the Zoo’s fully-licensed picturesque lawns to a picnic, a gourmet hamper or delights from the new food trucks at Taste of Twilights. This is the ultimate Melbourne summer event. All Melbourne Zoo Twilights ticketholders have free same-day Zoo entry between 5:30pm – 7:00pm on the evening of the concert, so be sure to come in early to explore all it has to offer. Both Taronga Zoo and Melbourne Zoo believe that with the public’s help, every species can not only survive, but thrive, and all proceeds from the Melbourne Zoo Twilights and Twilight at Taronga presented by ANZ summer concert series go back into their ongoing conservation work. In 2016 Taronga Zoo launched its legacy for the future and for the wild, dedicating the next 10 years to the conservation of 10 critical species. The 2017 series will champion the first global community action tool, Wildlife Witness to help in the fight against illegal wildlife trade. Zoos Victoria has been fighting the extinction of the Eastern Barred Bandicoot. Now into the third year of a five-year plan, Zoos Victoria and their partners play a key role in the recovery of the species, increasing community awareness of the Eastern Barred Bandicoot and building programs to reintroduce it to the wild.